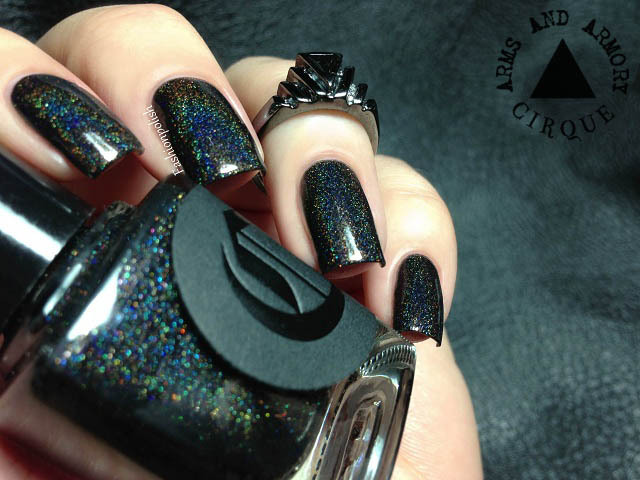 Fashion Polish: Cirque x Arms and Armory "Alter Ego" GIVEAWAY!!! 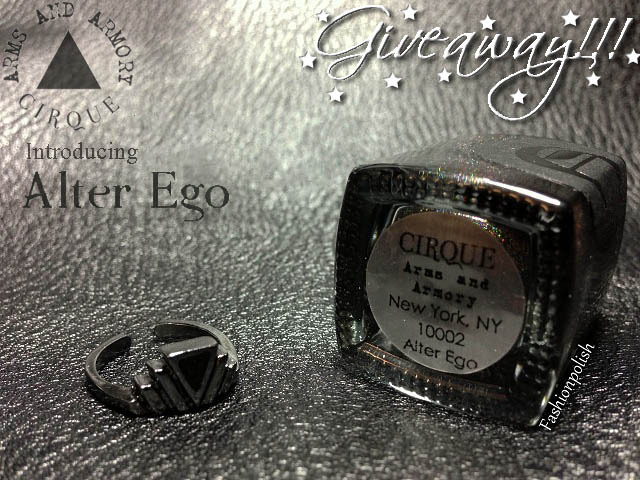 Cirque x Arms and Armory "Alter Ego" GIVEAWAY!!! Open internationally to all those who are legal of age in their country (excludes Italy, Brazil, India and Russia). Please verify your country regulations, undelivered or damaged goods will not be replaced. Winner will be randomly picked on April 2nd and she (or he) will have 48 hours to reply. For more information, please refer to Cirque or Arms & Armory. Big thanks to Annie and Christina for this giveaway and good luck everyone! I AM SO SO SO EXCITED! when i first saw this polish I LOVED IT! I had the same issue not being able to enter my GFC name. Just in case, it's Amanda. It didn't have a space to add my blog follow name: GFC - Linda V. Thanks for the great giveaway!!! I couldn't enter a follower name, either. I follow via Bloglovin', and I'm not even sure if they save a username. My name is Leisel, though... let me know if you meant something else... I don't see a GFC follower link in your sidebar. Thanks for the great giveaway!! I wasn't able my name either, but I'm following:) Thanks again! I'm hoping I'm following, I got confused and just started clicking things furiously. Awesome giveaway, thanks so much! I've been following unofficially for awhile now (just kind of keeping your blog bookmarked and looking at it all the time, haha). Oh ui oh ui ! Les swatches que tu avais fait m'avaient juste donner tellement envie de l'avoir, il est cro beau. Je summon la chance ! Thank you so much for this giveaway! I think I did the follower part correctly -- I am an email subscriber but I don't know if that's what you mean by follow your blog! Thank you for the amazing giveaway! I think I did the follower part correctly -- I am an email subscriber but I don't know if that's what you meant. OH MY GOD! Seriously?! Thanks so much for this awesome giveaway! okk bah vu que les filles commentent en français je le fais aussi et ainsi je pourrais commenter plus souvent ton blog! 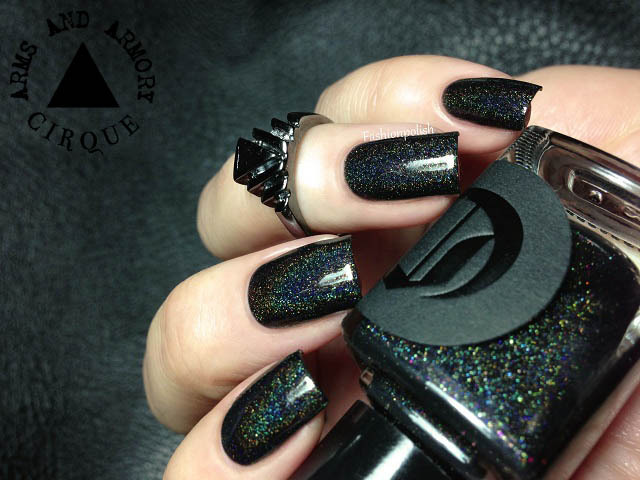 Merci pour ce giveaway ce vernis est juste sublime! Oh goodness, that is truly droolworthy! That colour is seriously incredible! I love the variation in the shimmer!!! Would love this for my collections! I love this color its so beautiful! Cirque is amazing I just ordered fascination street from them! I love this color its amazing! Cirque is awesome I just ordered fascination street from them!! Merci pour ce super giveaway! Merci pour ce magnifique concours ! Je souhaite plein de chance à toutes les participantes !